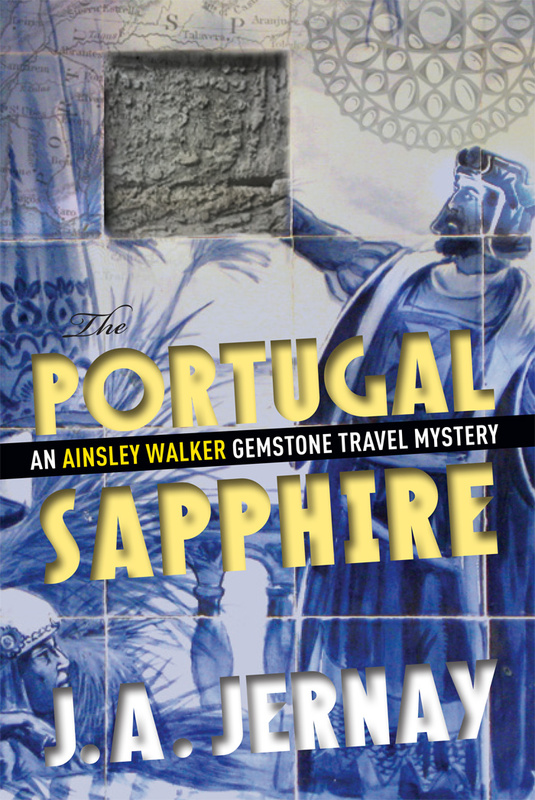 The Portugal Sapphire, the fifth installment of the Ainsley Walker Gemstone Travel Mystery series, is officially on sale. After months of unemployment, her bank account dwindling, Ainsley Walker is starting to wonder if her career as a gemstone detective will ever take off. Her life changes when she accepts an offer from a handsome importer to travel to the country of Portugal—the gorgeous but overlooked jewel of Western Europe—to search for a sapphire azulejo that has been stolen from an historic chapel. On her fast-paced adventure, Ainsley explores thieves’ fairs, antique trams, ancient Roman ruins, and the dangerous roads of rural wine valleys. She finds joy, pain, friendship, duplicity, and murder—and, most importantly, a renewed sense of purpose in life.